Transplant is a work that slips living plants into a future where the climate has significantly warmed. The Malmö Municipality has 13 Sister Cities. Inside each of the 1 meter hemispherical domes is a manipulated environment that represents a potential time when the mean temperature of Malmö matches the current mean temperature of one of it’s warmer Sister Cities. 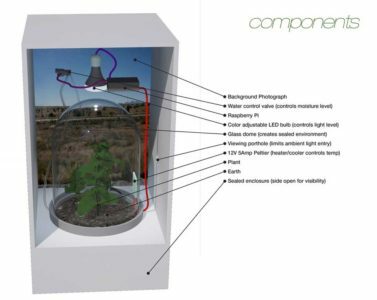 Within each microclimate native Swedish plants will sprout, grow and die as the chamber approximates imagined future temperatures, moisture levels, and other environmental conditions changed by global warming. 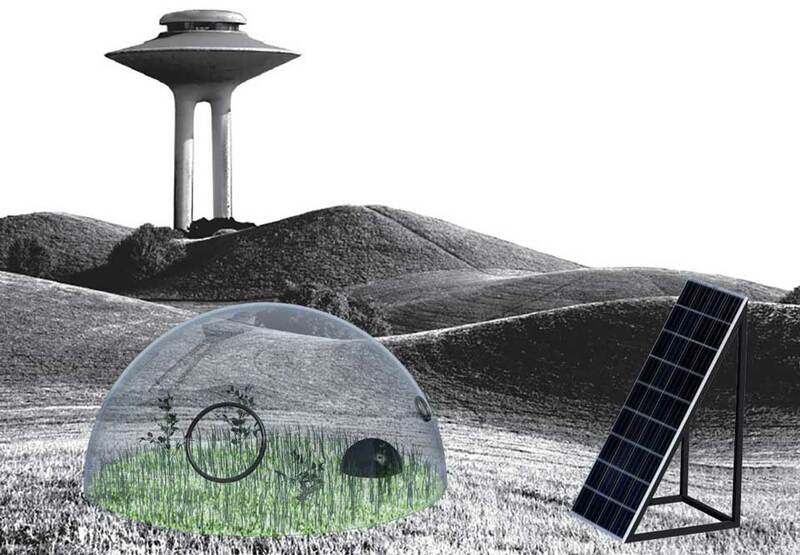 The environments contained within the first dome represents Malmö in the year 2056 when the mean temperature has warmed 2.5 degrees Celsius and matches the mean temperature of Tangshan, China. The environments contained within the second dome represents Malmö in the year 2110 when the mean temperature has warmed 5.8 degrees Celsius and matches the mean temperature of Florence, Italy. The environments contained within the third dome represents Malmö in the year 2180 when the mean temperature has warmed 10.2 degrees Celsius and matches the mean temperature of Swakopmund, Namibia. Mean temperatures were calculated based on a linear prediction model with an estimated global warming of 5 degrees Celsius by the year 2100.